LOS ANGELES – Entertainment technology professionals not only need the right equipment to make the magic happen, but they also need to make sure it has a reliable power supply. This is where ADJ’s new POW-R BAR65 and POW-R BAR LINK professional-caliber utility power blocks come in. 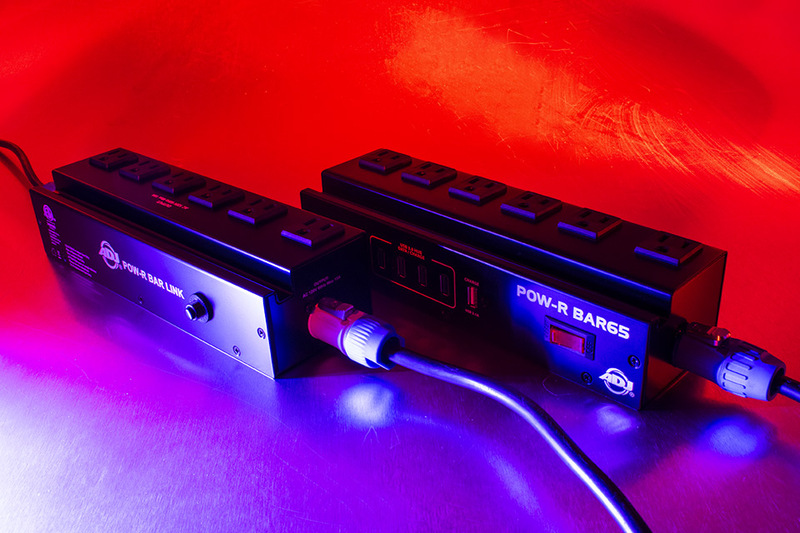 These forward-thinking robust power strips have been specifically designed for distributing reliable, surge-protected power on stage and at front-of-house, monitor mix and DJ positions. In addition, the POW-R BAR65 also incorporates a 4-port USB 3.0 hub, which can be used to hook up multiple USB storage and control devices to a laptop computer. These four ports can also change mobile phones as well. This makes it perfect for use as a part of a front of house, lighting desk or mobile DJ setup. The AC sockets can be used to power electronics, while the USB hub can be used to connect together a laptop, controller and peripherals. The innovative POW-R BAR65 and POW-R Bar LINK are designed to make life easier for sound and lighting professionals and help protect their equipment. They are not only safer than cheap plastic power strips, but look more professional and are built to stand up to the rigors of the road.